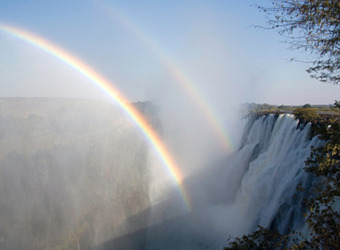 Zimbabwe is a fascinating country and I feel very lucky to have traveled there. I especially loved visiting Hwange National Park which felt like my very own private safari. While the animal sightings may have not been as prolific as in other places, I truly felt like I was in a wilderness area. We didn't see any other jeeps or travelers and our daily game drives were more like a treasure hunt than a knowing drive to where the animals were be. The people of Zimbabwe were among the friendliest and most interesting I have met. I gained a rich understanding of many of the hardships the locals have endured and their strong work ethic to have a full life.